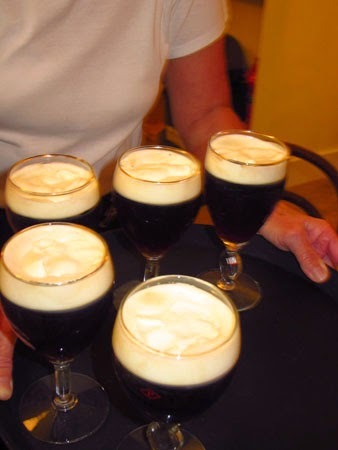 In honor of St. Patrick’s Day, I invite you to read of my Ireland stories which were published on Striped Pot, a boutique online travel site. Visiting lesser known places, learning history of the area, and discovering beautiful art all add immensely to the enjoyment of traveling. If you visit the Ring of Kerry and Dingle Peninsula in southern Ireland–probably the most popular tourist destinations in that country—be sure to stop at the Foynes Flying Boat Museum in County Limerick. Here you’ll learn about the nostalgic era when Foynes was the center of the aviation world, from 1939 to 1945. 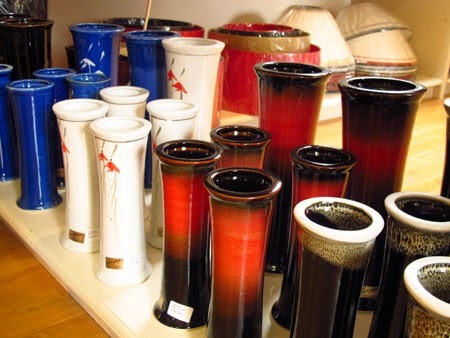 A small sample of Louis Mulcahy pottery. The last of the big potteries making all pieces exclusively in Ireland, Louis Mulcahy designs and makes each individual piece. I bought a large platter, one of his exclusive designs.